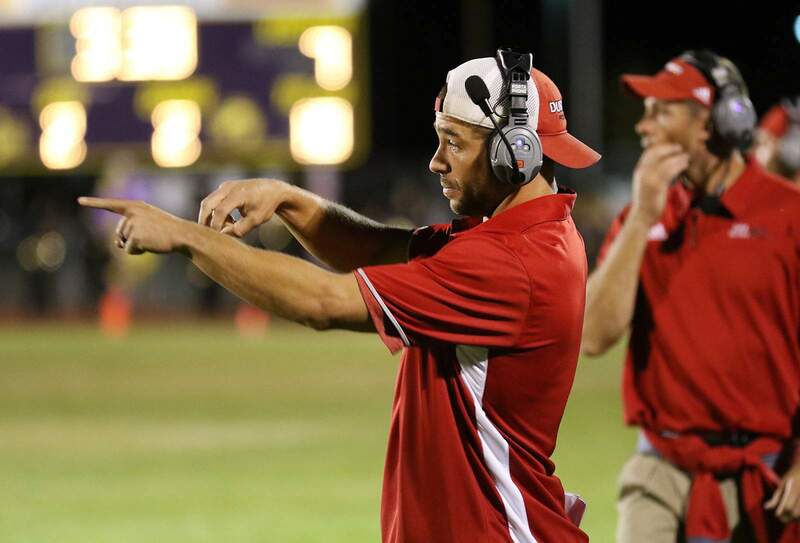 Durango High School head coach David Vogt will get to coach at home for six of the team’s 10 regular-season games this year. 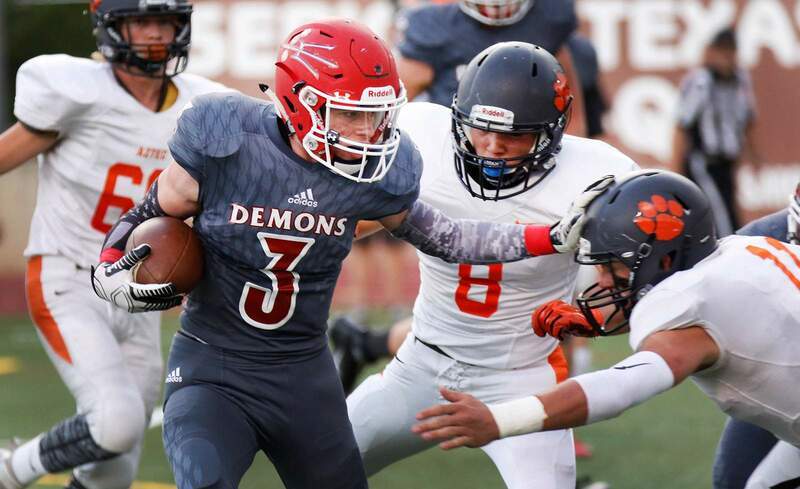 Rivalry games return for the Durango Demons in 2018, and Durango High School will play host to three marquee games without having to travel in the month of September. A home-heavy slate for the DHS football team is a welcome sight a year after the Demons had to play four consecutive road games in the middle of the season. A year ago, the Demons played to an 8-4 overall record and 4-1 mark in the Class 3A South Central League. The team upset Cañon City in the opening round of the playoffs with a lopsided 49-21 victory before losing an incredible back-and-forth game at home against Erie in the quarterfinals. Erie went on to finish as the state runner-up after a 46-21 loss to Palmer Ridge in the title game. Of Durango’s 10 regular-season opponents in 2018, six finished with winning records. Those opponents combined to go 68-46 overall, and two won state championships, as Bayfield went 13-0 to claim the Class 2A title and Pueblo South went 13-1 en route to the Class 4A state championship before moving down to Class 3A for the 2018-19 cycle. Durango’s first five opponents of this season combined to go 44-15 last season, making the non-conference slate this year a tough task. It will all get started at 7 p.m. Aug. 24 for the Demons with a road trip to Class 2A Pagosa Springs, which went 6-4 last season and reached the state playoffs. 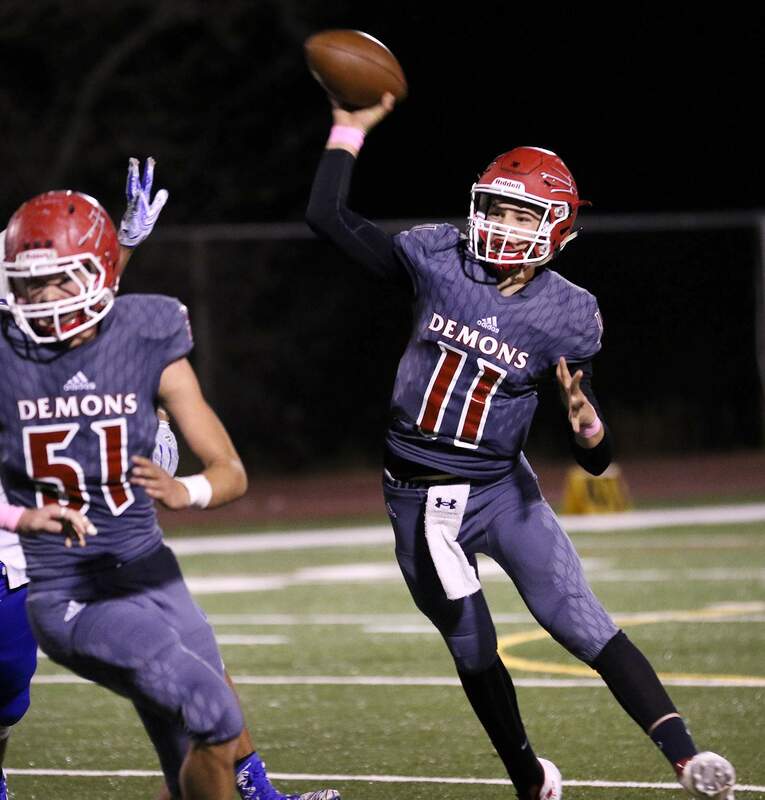 Jordan Woolverton helped lead the Demons into the state quarterfinals as only a freshman, and Durango will look to him and a stable of key returners to push back into the Class 3A playoffs this year. Durango will then stay on the road to face Western Slope League power Palisade at 7 p.m. Aug. 30, a Thursday night game, giving the Demons two games in six days to open the season. Last year, the Bulldogs went 10-3 and reached the state semifinals before a 28-14 loss to Palmer Ridge. Then, Durango will get four consecutive home games instead of four in a row on the road. The rivalry showdown with Montrose is back for the first time since 2015, when Durango won 36-35 at Montrose. Last year, the Indians went 7-4 and suffered a first-round playoff loss to Pueblo South. Revenge will be on the minds of the Demons at 7 p.m. Sept. 14, as the Bayfield Wolverines will come to town. Last year, Bayfield won on its home field in the cross-county showdown. The 20-13 victory was the Wolverines’ first in school history against the Demons’ varsity team. Still, Durango is 14-1-1 all-time against the Wolverines. The Farmington Scorpions will visit Durango at 7 p.m. Sept. 21 for the final non-conference game of the year. Last year, the Scorpions went 8-4 before a 47-22 semifinal loss to eventual state champion Artesia. Durango will then have a bye to prepare for the start of league. Durango’s Dawson Marcum won’t get to run against New Mexico foes such as Aztec and Piedra Vista this year, but big games against Montrose and Palisade will more than make up for those games on the 2018 schedule. South Central League play will look different for Durango this year. Exit Colorado Springs-based Harrison and Sierra and enter last year’s Class 4A state champion Pueblo South and Pueblo Centennial. Durango is the only non-Pueblo team in the league, and the Demons will commute nearly six hours by bus for each road league contest. DHS will open league at home at 6 p.m. Oct. 5 against Pueblo Centennial, which went 1-9 last season. Then it’s a road trip for a 1 p.m. Saturday contest Oct. 13 at Pueblo Central, which was 2-8 a year ago. Then the league really gets competitive when Pueblo South rolls into Durango for a 6 p.m. Oct. 19 kickoff. The Eagles decimated opponents last year before beating Pine Creek 25-14 in the state title game. The team’s lone loss was a 55-54 double overtime thriller against Pueblo West, which remained in Class 4A. After getting a shot at the defending 4A champions, Durango will host Pueblo County at 6 p.m. Oct. 26. Pueblo County went 3-7 a year ago. The Demons will close the regular season at 7 p.m. Nov. 2 at Pueblo East, which went 5-6 last season. Official practices will begin Monday for the Demons, who return exciting sophomore quarterback Jordan Woolverton along with a host of high-caliber wide receivers as well as dynamic running backs in Dawson Marcum and Everett Howland. Durango once again will look to contend in the Class 3A state playoffs.